................. and adding some flavor. Well, that is the mandatory Tau list, according to me. This last phase is where you can add in a little flavor to make your army your own. Here is what I did, but again, this is the most optional part of your army building and it should be a reflection of your play style. That said, I am not going to tell you what you must have or not. But I will share what I did. I had to have this guy, and I will be getting a second one soon. He is the biggest battlesuit in the Tau inventory. He can lay down the firepower, and take a lot of flakk, and doesn't require a dead twin to field in a friendly game of 40k (see Codex: Eldar for more on that). Update: He isn't the largest suit anymore... that honor goes to either the Stormsurge or to our new titan, the Ta'unar 9depending on how you view ForgeWorld models). At 2000 points you can expand your FOC. Stick Shadowsun in another battlesuit unit -particularly a stealth unit and watch her shine (actually she and the unit she's in will stealthily glimmer out of sight). You really should have at least one of these in your inventory. He gives great buffs particularly to infantry, and can choose special effects each turn, including giving nearby fire warriors an extra shot in certain situations. I absolutely love these things. Take 9, get the controller killed, and then attach a battlesuit commander with a drone controller, the drones get BS-5 and the ability to actually use their jetpack rule effectively, and the commander gets stealth plus 9 strength X sniper shots and up to nine additional ablative wounds. Not to mention whatever buffs any nearby ethereals bestow (including the extra shots at half range). Yes please. A dirt-cheap squad of 20 snipers (points-wise) that can infiltrate, hold objectives, move through cover, and are stealthy in forests? Again, yes please. Seeing a horde of these snarky little critters along with a full compliment of hounds and KrootOx on a tabletop really gets me chuffed up! Throw in a herd of gnarlocs and one or two of the really big beasties and boy, I get a bit weepy. Not a fan favorite but I like them. 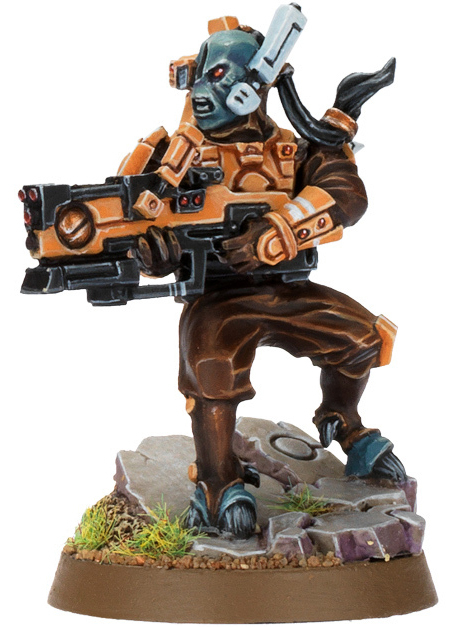 I am a huge fan of the various alien allies the Tau have, and the Kroot and Vespids are the two sanctioned ones. I will be pumping out a few articles about Tau allies and mercenaries later on this summer, so more on that then. In the right situation, Vespids can make an interesting game particularly in a dense city terrain and ruins, such as a city fight scenario where there's plenty of cover and plenty of enemy infantry. They are jump infantry with hit-and-run and stealth in ruins. Their range is only 18 inches, but their weapon is strength 5 AP-3, so in the right situation they could be really good. 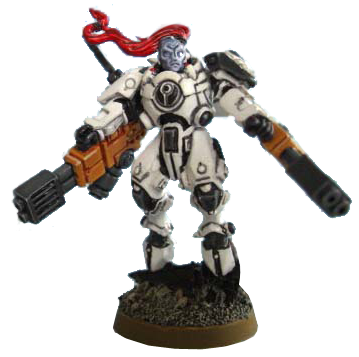 They could also be really terrible, but such is the case with several Tau units. I still like them. Units I do not care much for, but you may like. Either my first, or my last commander purchase. I proxied him in a couple of games under the old codex and was never really pleased with him. Of course, under the old rules he limited what other units you could take and the buffs he brought were not so great. But he might be really awesome in a deep strike death star unit with seven other battlesuits in a game against orks... yeah, that might be a fun match... anyway, season to taste. Skyler and a couple of other guys on the sight play a Farsight list and I will defer to their comments on his usefulness. I have the model, still on sprue, still in the box, and still shrink-wrapped. I will build him someday. Traditionally, I never really liked them, but they are starting to grow on me now. Unfortunately to get a hammerhead now, you have to buy the skyray anyway, so what the heck. With the ability to fire their missiles without markerlight support, they just became more appealing. But as I mentioned before, your army should reflect your play style. So here again, season to taste. This guy kinda looks like he might be sorta fun, but as he fills an HQ slot and because of this I have not taken him in a game yet, so I cannot comment much on him. If you have the dough and the inclination, go for it. He certainly has the lips for battle, who knows, maybe I should give him a go? More on all of these units will be included in upcoming tactica. So stay tuned. You can read Adam's original article here and see what you think about the clarity of his predictions. I'd rate his predictions at about 90-95% correct, he really only missed on the crisis suits and sniper drones. Another awesome article that touted Tau tenacity (both alliterations intended) even before our new codex release was David's article on army building found here. 7th Edition Codex update models and Formations (the big boys). Then Forgeworld Units. Don't be afraid to check out Forgeworld. I will go more into them later on. There are some nice units and odd bits there. And though they are expensive, they're well worth it to a serious gamer or collector. where is part V, the gunline? I can't wait to read it! Farsight is amazing for the Farsight bomb maneuver. This is a tactic utilized for running Farsight in the standard codex, not his supplement. Take farsight and 7 bodyguards all loaded with dakka, and deep strike them all behind enemy lines and devastate the enemy. Kitted out right you could down at least 2 tanks and large squad of marine-equivalents. Farsight doesnt scatter when deepstriking. Derp! I was editing this one and accidentally clicked publish instead of save. I will save the missed installment for Saturday or Sunday --it still needs some love before I publish it. Thank you all for reading, and actually noticing the error. In spite of my (mild) embarrassment, I appreciate you catching it. As for Farsight, that indeed is his signature play, I just haven't gotten around to him yet. I will, someday, probably soon.